Tara Logan, a wife and mother, wakes up one morning to find that everything is wrong. She is not in her home. She is asleep in bed next to another man. She is naked. He is dead. 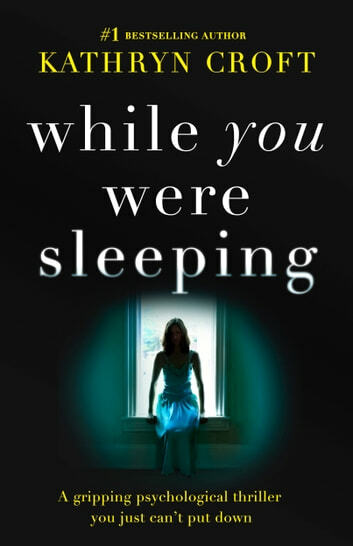 While You Were Sleeping, the fifth novel by Kathryn Croft, is hypnotizing from the very first page. Tara Logan wakes up with no knowledge of what happened the night before. As she rises, she realizes she is naked, in her neighbour’s bed and that he has been murdered. She decides to go home and pretend it never happened. From this point on, the novel twists and turns as Tara tries to get ahead of her own lie and protect the ones she loves. I could not put this novel down. This psychological thriller is a twist on the classic whodunit. The entire novel I found myself second-guessing myself and on edge about who the culprit was. Croft does an amazing job at leading the reader down a path and then, throwing a curve ball, so intense, that you are left reeling. I found myself flipping through the pages as quickly as I could read so I could find out what was happening. The story is told through Tara’s perspective as she desperately tries to piece together what happened that night while trying to keep her (already unstable) family together. Tara’s perspective was extremely intriguing. The character voice was relatable and helped add to the urgency in the plot; as she became more panicked and desperate, my feelings mirrored that! The characters in this novel were stellar. Each one was more intriguing than the last. Without giving away any spoilers, I won’t be able to say much. But, I will say that between the daughter, the neighbours, Tara’s colleague and the police detective, I didn’t know who I could trust or how the story was going to play out. My only complaint about this novel is that I didn’t read anything by Kathryn Croft sooner. I will be going out to purchase the rest of her books immediately. Her writing is utterly addicting. I’d recommend this book to anyone who is interested in a fast paced read with huge twists. It will please fans of a classic whodunit as well as those who enjoy a darker psychological thriller. I voluntarily received an Advanced Reader’s Copy of this book from Bookouture Publishing, Kathryn Croft and Netgalley; it was my pleasure to provide an honest review. 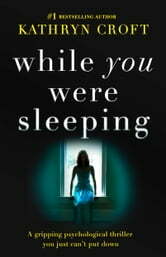 Excellent read Suspenseful.Couldnt wait to turn the page.Kept you guessing to the end Surprise ending.Very Entertaining.! Read it all in one sitting. Great pace and twists right until the end. About to buy some more from this author! Bought tbis book on a lark, qukckly realized that i had stumbled onto an incredible author, could not put book down , a superb read! This is one of the most frightening storie I have read. The twists and turns will make you second guess every character and trust no one. When you reach the end you won't have a clue and there is no way you could have guessed. Great read.